Come see your student read some poetry and come meet some new families. We could use your help during the event as well and bring a treat – sign up here. Details: Second grade parents are invited to a parents bowling night January 19 from 7 to 9 p.m. at West Seattle Bowl. Slow your roll after the busy winter season, build community, and socialize with new and old friends alike. We hope to see you there! When: 10/26/18 – 6:30-8:00pm Where: GHE Cafeteria Details: The 2nd grade is co-hosting the GHE Monster Mash – come join other 2nd grade families to help at the event. Sign-up to join us! 2700 California Ave SW Seattle, WA 98116. We will have some balloons and a table close to the exercise equipment. When: June 14th at 6:30pm Where: Alki Bonfire – stay tuned for exact location Who: All first grade families and friends What: Smores & a bonfire Sign-up: We could use your help getting supplies for the bonfire by signing up here. What: Bowling is $29/lane (split between six people) and shoes are $5. Please plan accordingly. When: Tuesday, April 3rd, 5-7pm Where: Ounces Taproom & Beer Garden, 3809 Delridge Way SW Sign Up: Let us know if you can make it by RSVPing Details: Join us for a much needed kid free evening at Ounces with some drinks and good food. We’ll have a few snacks provided but there will also be a food truck there. Looking forward to seeing you there! When: Friday, January 12th, 5-6 pm Where: GHE Library Sign Up: Let us know if you can make it by RSVPing Details: Join us for a casual event for the whole family! We’re partnering with Math Buddies, a program which pairs teenage math enthusiasts with elementary-aged children to engage in games aimed at building and reinforcing mathematical concepts. Math Buddies is a local program run through the West Seattle Branch of the Seattle Public Library. Additionally, we’ll offer some helpful tips for parents to support students’ math literacy at home. When: Saturday, November 18th, 7 pm-10 pm Where: Laura and Michael Geoghegan’s Home, 4700 51st Pl SW Food/Drinks: Please bring a bottle of wine and a dessert to share. We will provide snacks. Details: Join other 1st grade parents for a parents social (get a babysitter now, it’s a no kids event). We’d like a headcount so please RSVP in advance here. If you have any questions, please get in touch with Michael Geoghegan (host, michael@nwstrategyandplanning.com). When: October 17th 6:30-7:30pm Where: Genesee Hill Gymnasium Cost: Free! Details: We welcome you to Indoor Recess – a family friendly night of recess and cooperative games. 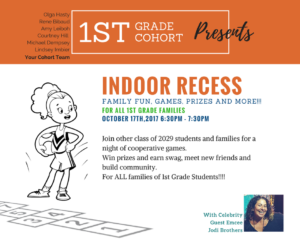 We’ll break out some old school favorite recess games and new-school cooperative activities for kids and parents to participate in. The evening’s activities will be MC’d by celebrity DJ, Jodi Brothers. Siblings will be welcomed to participate in the activities too! Please let us know if you can make it. The evening will also include: swag bags, old school sports themed photo booth, prizes and more! 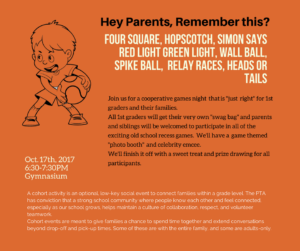 Get your GAME ON and SCHOOL your kids at this fun and engaging evening of friends, family and community. When: Friday, March 31, 4:30 pm – 5:30 pm Where: Genesee Hill Library Cost: Free. All are welcome! To support others in our community, we ask you to bring new and used books to be donated to WestSide Baby. Join us for an afternoon of reading at the Genesee Hill library. Celebrity guest readers include a local firefighter, professional jump roper, a dancer, a naval architect, and a pilot. Even more exciting, all of our celebrities are our own kindergarten parents! Guest readers will introduce their occupations and share a read aloud text related to their fields. Join us for fun, literacy, community-building, and a great cause! When: November 5, 2016 7 pm-10 pm Where: Krayneks’ House, 3216 44th Ave SW Now that the kiddos have been in school for over a month we thought it would be fun to have a parents night out (no kids – it’s our time to relax!). Christine and Christopher Kraynek are very graciously opening their house for us to get together. Please RSVP so we can get a headcount. Donations for food and drinks are appreciated. Each cohort will hold one back-to-school event on the new Genesee Hill campus in August. Please save the date, since the campus will remain closed except for for scheduled events! If you have questions, contact your cohort leaders. Need to find out who they are? 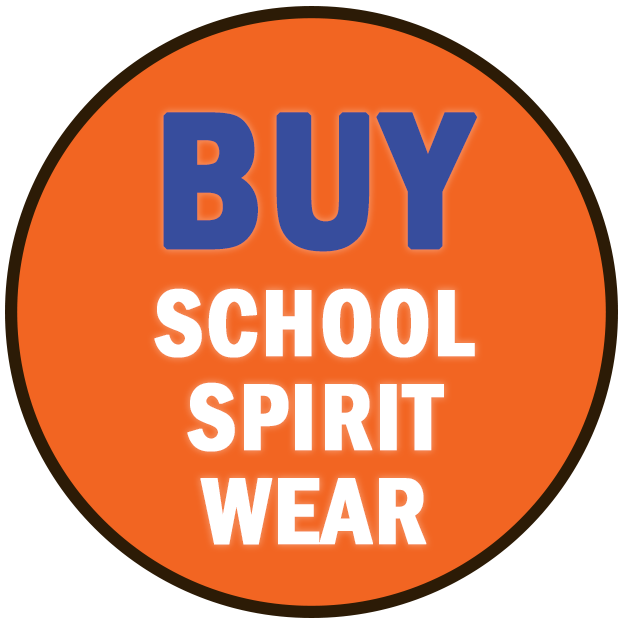 Email cohorts@geneseehillpta.org. 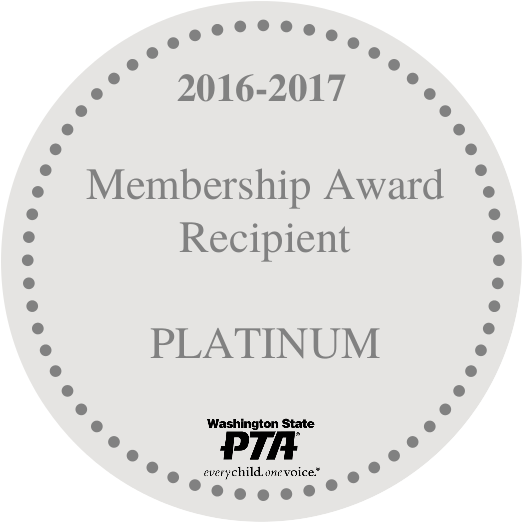 Incoming Kindergarteners (class of 2029) – Tuesday, August 23, 5-7 pm Incoming 1st graders (class of 2028) – Thursday, August 11, 5-7 pm Incoming 2nd graders (class of 2027) – Wednesday, August 10, 5-7 pm Incoming 3rd graders (class of 2026) – Tuesday, August 9, 5-7 pm Incoming 4th graders (class of 2025) – Wednesday, August 17, 5-7 pm Incoming 5th graders (class of 2024) – Tuesday, August 16, 5-7 pm See you at Genesee Hill! Have a wonderful summer.